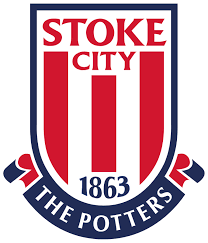 Stoke City’s hopes of securing an immediate return to the Premier League have been boosted after their influential midfielder signed a new 4 – year deal with the club. The 28-year old Welsh international was the subject of serious interest from a number of top flight clubs, and had a release clause in his contract of £25 million which could have been triggered by Stoke’s relegation. However, he has now instead decided to stay with the Potters and help them fight for promotion, as reported by The Daily Mail. The new deal saw a pay cut for Allen, which came into effect, effectively rescinded, although he could have potentially earned more if he had moved to another Premier League club.